A proof of concept for using an iPhone/iPad/iPod or an Android mobile device as a remote game controller . The user takes control of the game simply accessing a web page, it doesn’t require any installation and the same page works with different platforms. It can be used especially for interactive advertising and interactive spaces. 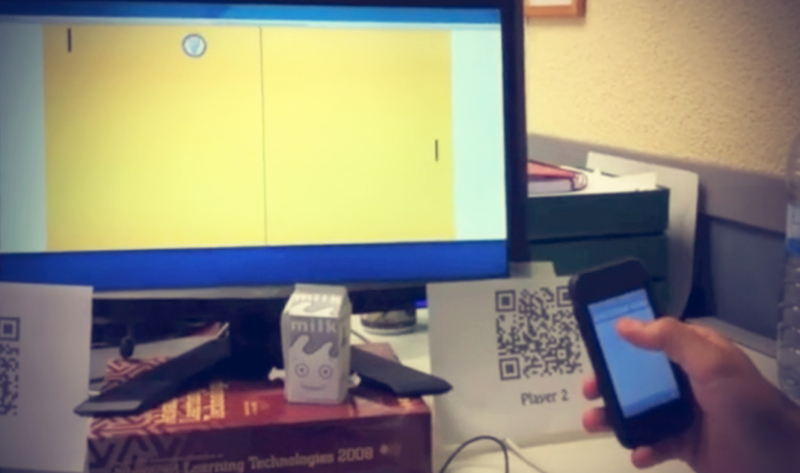 iPhone as game controller from Massimiliano Dibitonto on Vimeo. Questo articole è stato pubblicato in Portfolio . Bookmark permalink .